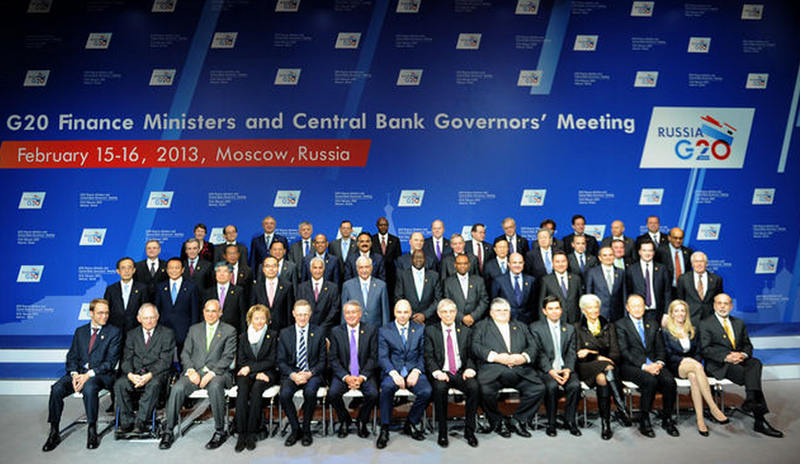 Switzerland was invited to attend the recent G-20 meeting in Moscow. Perhaps as a payback for its creative diplomatic efforts to help the Russian Federation become a member of the World Trade Organization, or perhaps for its role in hosting the ongoing Georgian-Russian talks in Geneva, the Russian Government invited Switzerland to participate in the gathering of central bankers and finance ministers from the world’s largest economies for the first time. While Switzerland’s relations with the United States and some European neighbors are tense over banking secrecy, there is reason to be proud to see Mme. Widmer-Schlumpf, Swiss Federal Councilor and Head of the Federal Finance Department, sitting at the table with representatives from major powers. On the other hand, and I don’t think the Russian Federation had this in mind, many of the participating States took advantage of Switzerland’s presence to criticize Switzerland as a tax haven for multinational companies. While complicated negotiations are ongoing with Switzerland and several countries concerning individual tax issues, this time, in addition to the primary subject of the meeting of resolving the global financial crisis, the subject was how large multinationals are able to avert paying taxes proportional to their gains and the role of Switzerland in this regard. Following a recent report by the Organization for Economic Cooperation and Development (OECD), countries like France, Germany and the United Kingdom are making tax reform for multinationals a major issue. Is there a relationship between individuals avoiding paying taxes in their home countries and companies avoiding paying taxes in any country? The answer is obviously yes. In the individual case, however, it is somewhat easier to deal with since individuals have passports; they are citizens of some place. Companies, on the other hand, are not like individuals. While they have to be incorporated somewhere, globalization has allowed companies to move their financial taxability from one place to another. This is not quite island-hopping, although the metaphor can sometimes apply. Creative accounting has been a growth industry during globalization. For a country like Switzerland, with its proud history of neutrality and independence, cooperation over tax issues raises legitimate questions. In dealing with companies, the first question should be whether Switzerland is the only country that offers certain privileges. As long as there are countries which offer tax havens to multinationals, why should Switzerland be any different? Indeed, one of the fascinating offshoots of globalization is that cooperation by all is necessary to tackle certain problems. If, for example, India and China continue to be major polluters, then pollution will remain a preoccupation no matter what the rest of the world does. Global cooperation in this sense is not a normative ideal; it is a pragmatic, necessary reality.